Traditional Ecological Knowledge is a term used to describe information about nature that comes from local populations. It is typically different from scientific research in many ways, but also complementary to it. 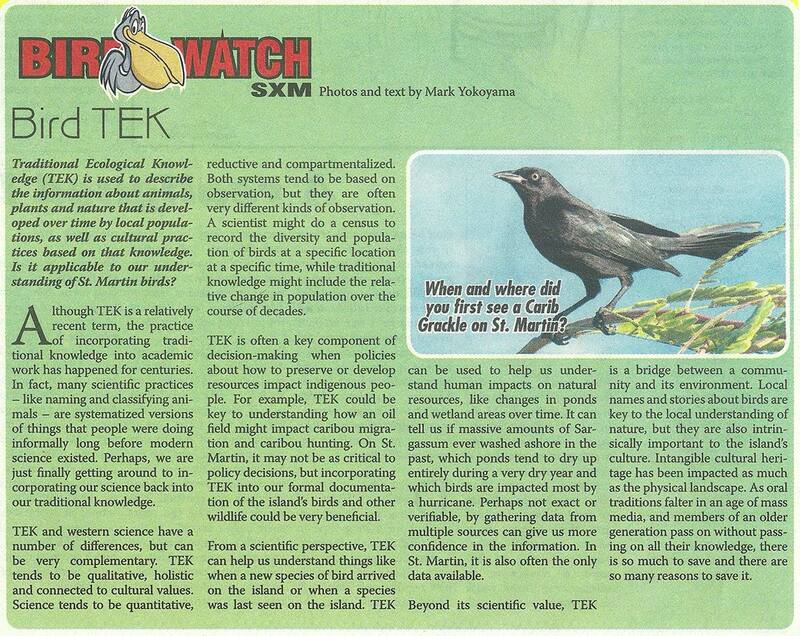 Should TEK be an important part of how we understand and document birds on St. Martin?